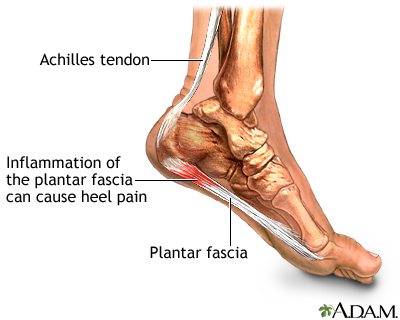 Plantar Fasciitis (PF) is something I learnt about at university – not in a lecture, but on the rugby pitch. This nasty character snuck up on me, and before I knew it not only could I not partake in all the various sports I had come to know and love, but I also couldn't carry out normal tasks required for everyday life – including walking to lectures and going out. Naturally I was straight onto Google, and nursed my injury by rolling iced bottles and golf balls under my foot, stretching – basically anything and everything that might help. The time it took for this particular injury to disappear was just too long for my liking, but it seemed to disappear quite as quickly and unexpectedly as it came on! From the moment it went away to the moment the pain struck again, I can honestly say I didn’t give it a second thought (apart from when I occasionally caught sight of my rather extensive collection of gel heel-cushions). I then entered London Marathon and threw myself into running and training. It was now that the beast of PF reared its ugly head once more – but this time it brought a friend: Achilles Tendonitis. Joy. I spent hundreds of pounds on physiotherapy, rolled everything on the sole of my foot I could think of, and prayed to the gods of sport for mercy – but perhaps I had offended them at some point, as I was blessed with no respite from the pain. Long story short: I taped myself up to the max and ran the marathon – in some discomfort. But hey ho, we are all a bit more reckless when we are young. Up until recently this unforgettable (or so it seemed at the time!) escapade had again become a distant memory. But I woke one morning last week to a horribly familiar pain on the base on my foot. This time, though, I went about things a bit differently: I decided I would use my own brain. Crazy, I hear you say! So as well as heeding previous medical advice I went on the offensive against PF. And thankfully I can safely say that I won. I rehabbed my socks off. It was such a revelation and I am actually really rather impressed with myself. Weighted Calf Drops (10kg) x 10 reps each leg – Using both feet to push you on to your toes but only one foot when lowering yourself. These are worth their weight in gold, better than any stretching and/or strengthening exercise I’ve done for PF. Foam Roller every single bit of your lower limbs needs to be rolled, paying particular attention to the lateral/outside part of the legs. Taping (Click for Video) I used a standard PF taping technique as well as a couple of bracing pieces for the Achilles. Hip raise working for 45 seconds on each leg, with no rest in-between. Jane Fonda Leg Raises x 20 reps each leg. And there you have it! I did this twice a day for 5 days and was hopping and skipping with no problems by the end of it. The most CRUCIAL thing to remember: don't run when you have PF – burying your head in the sand will only make it worse! Email us at sarah@bearfitness.london if you have any questions about exercises, or would like further information.